As organizations seek to strike a balance between developing companywide capabilities required for today and in the future, they can benefit from considering who is at the heart of these development efforts: employees. The right training—for employees and leaders throughout each organization—is vital for building the digital-dexterity that companies need to not only survive but also thrive in the future. 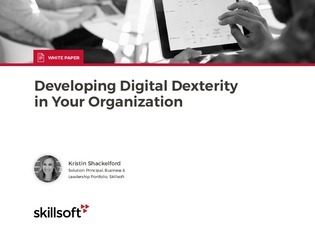 Read this white paper to learn how investing in digital-dexterity training for leaders can accelerate digital transformation programs, enabling companies to swiftly capture the benefits of digital and turn those benefits into measurable business results.